Manufacturer of a wide range of products which include micro extension spring, extension springs and stainless steel extension spring. With the aid of our procuring agents, we have been able to offer Micro Extension Spring. These quality-assured products are fabricated using high-quality raw material, which is obtained from the most authentic vendor in the industry. Our deft team of industry professionals provides our staff and workers with proper guidance and supervision to obtain the finest quality final output. We are one of the most appreciated organizations engaged in offering quality-assured Extension Spring to our esteemed patrons. 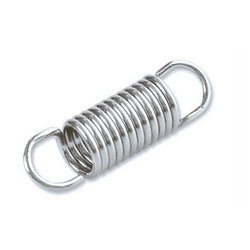 These springs are widely utilized in industries as tools for plastic moldings and other dies. These products are available at the most reasonable price. 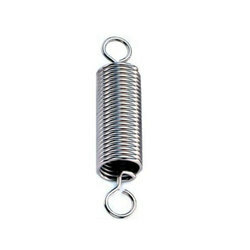 We are offering our clients with sustainable quality Stainless Steel Extension Spring. 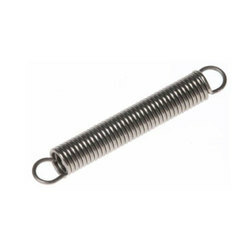 These springs are widely used to pull loads or support tensile. Extension springs are also called tensile springs. Most extension springs are wound with initial tension. This tension is the force that holds the spring coils wound together. These springs are used for special coiling and secondary operations and allow for over-stretching of the load. Looking for Extension Spring ?